Telehealth endeavors share one intent: to extend the reach of hospitalists into communities that can't afford onsite service. 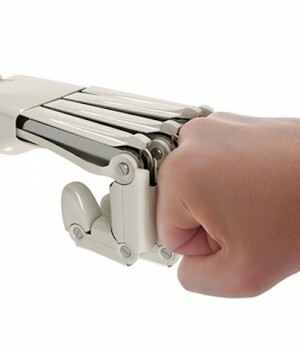 HOSPITALIST Sanjay Dhar, MD, is already nostalgic for the future, robot-doctors and all. Today, when he has a very ill patient who needs an infectious disease consult at Summit Health’s 50-bed Waynesboro Hospital in central Pennsylvania, Dr. Dhar has to transfer that patient to a large hospital a half hour away. But for nearly a year, that wasn’t the case. Related article: Tele-hospital medicine branches out, June 2017. Until last May, Dr. Dhar was able to consult with a tele-infectious diseases specialist who, unfortunately, has since changed jobs and no longer tele-consults. If health care has lagged behind, it is catching up. Telemedicine, which has been the next new thing for many years, has already made major inroads in tele-stroke care, tele-psychiatry and tele-ICUs. And increasingly, hospital medicine is getting involved. While some physicians like Dr. Dhar have come to rely on subspecialty tele-consults, a growing number of hospitalist groups are ramping up virtual hospitalist programs in difficult-to-staff facilities or during hard-to-cover shifts. Some also plan to use those same audiovisual and electronic communication resources to provide post-discharge follow-up to patients at home or in skilled nursing facilities. While those endeavors range widely in design, they share one intent: to extend the reach of hospitalists into communities that can’t afford onsite service or can’t entice medical professionals to relocate. And all say they are planning to expand. Hospitals are using telemedicine to grow their networks in rural areas, as well as contract with hospitals outside their own health care systems. The center is the nation’s largest single-hub e-ICU. The virtual hospitalist-and-nurse teams handle hundreds of cross-coverage calls at night and monitor alerts for telemetry patients in both the 700-plus bed suburban Mercy Hospital, just 15 minutes away, and for several smaller facilities. While it may seem counterintuitive to use telemedicine to cover a large hospital that has boots on the ground, telemedicine cross coverage allows those onsite nocturnists to focus on admissions without interruptions. Hospitalist Mohit Srivastava, MD, moved from Brooklyn, N.Y., to Bunkie, La., population 4,000, 12 years ago. In addition to his internal medicine practice, he has begun taking some of the first-ever telehospitalist shifts for the Lafayette, La.-based national physician staffing company Schumacher Clinical Partners. Schumacher is using the program to cover nights in several critical access hospitals in rural Louisiana. Seated in front of a computer and camera in the telemedicine service center known as “the bunker,” Dr. Srivastava rounds, admits, cross-covers, transfers, writes orders, coordinates care and even jokes around with the nurses at two small community access hospitals 30 miles away. Sometimes, patients call him Dr. Robot, “the TV doctor” or Robodoc. He estimates that as much as 80% of what a hospitalist does happens away from the patient, from reviewing data and records, coming up with a game plan, coordinating with other providers, and charting and documenting. The other 20% requires him to be face-to-face with the patient. By using the camera and peripherals on the “robot” cart, he can take a history, talk with patients and families, listen to hearts and lungs, look into ears, eyes and throats, and zoom in on wounds, ulcers and rashes. If he wants to find out if a swollen leg is tender, the nurse acts as his hands, and an ED doctor is in-house for an emergency intubation or line placement. 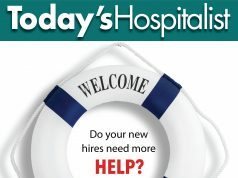 As Randy Pilgrim, MD, Schumacher’s enterprise chief medical officer, explains, tele-hospital medicine can help solve the specialty’s biggest, most intractable problems: recruitment and retention. Other hospitals are being drawn to the technology because it can smooth out other staffing issues. CHI Franciscan in Tacoma, Wash., will begin testing a telehospitalist program this summer that will be located in CHI Franciscan’s virtual medicine center alongside an e-ICU, a virtual sitter program and remote telemetry. At the same time, a telehospitalist could admit a straightforward, lower acuity “pneumonia or cellulitis patient so the onsite nocturnist can go and see the rest.” As Dr. Bell sees it, the virtual hospitalist team could also expand to take care of post-discharge follow-up calls. What is different about telehospitalist work is the pace and the flow, largely because virtual hospitalists have to depend so much on onsite nurses or NPs/PAs to facilitate their practice. Doctors need onsite clinicians to—at the very least—roll a “computer on wheels” cart with the monitor, computer, camera and peripherals into patient rooms and turn on the machines. Doctors have to figure out a way to fit their work into the workflow of a nurse or advanced practice partner. They also need to be able to develop productive relationships and have the kind of personality that works well on teams. Telemedicine is not for everybody. Telemedicine also isn’t a good match for someone who thinks that working at home or alone in a bunker is a more relaxed way to practice. “You have to be able to work efficiently because you may be at three hospitals at one time, and you must be available to every single one,” says Jayne Lee, MD, national medical director for telehospitalist services for Eagle Hospital Physicians, a national hospitalist staffing company based in Atlanta. For the past six years, Dr. Lee has been providing remote care to small hospitals throughout the U.S. from her apartment in Paris, France. A virtual hospitalist also has to be comfortable with technology, Dr. Lee says. Telehospitalists must be able to troubleshoot, help nurses who may be uncomfortable or intimidated, and switch seamlessly among different EMRs in the course of one shift. In Northern Michigan, the hospitalists with iNDIGO Health Partners, a private group, provide nighttime telemedicine at two rural hospitals and plan to expand to three more by this summer. Some telehospitalists are local—their own hospitalists pick up moonlighting shifts—but others will work from homes across the state or even across the country. The company is looking to hire telehospitalists to cover critical access hospitals and other rural facilities expressing interest in the program. 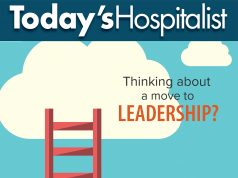 But finding hospitalists with the right skills and attitudes isn’t necessarily easy. The position also requires media training to help physicians understand the importance of factors like tone of voice and facial expression. “A telehospitalist almost has to be an actor on camera,” says Dr. Willis. “You can’t mumble or roll your eyes, and you have to measure your tone and the words you use.” Messages relayed through body language are lost, she adds, because patients see only a face on a screen. Moreover, he adds, patients often think—incorrectly, he insists—”that because they are ‘seeing’ a doctor in the city, that I am somehow smarter” than a rural doctor. Dr. Lufkin works as a telehospitalist for three hospitals and does onsite shifts. Occasionally, he transfers a telemedicine patient who’s just too sick for a rural hospital to himself. He advises skeptics to keep in mind that the benefits to rural communities—where the alternative to telemedicine is no medicine—usually outweigh concerns. “When census is low, nurses get their hours cut,” Dr. Lufkin points out. “Then they start looking for jobs elsewhere, and you get a brain drain of your best nurses from the town.” Launching telemedicine in one community also helped one small hospital recruit a new primary care physician who was happy not to have to cover inpatients, he says. In fact, a major reason why Jason Kimball, MD, and his three telehospitalist colleagues in the Lawrence, Kan.-based Sunflower Telemedicine started their company was to support the NPs/PAs who staff most of Kansas’ 84 critical access hospitals. His group has helped cover five different hospitals in the state 24/7 from their laptops or smartphones, using a telemedicine app and mobile hotspot. State laws regulate how often physicians have to supervise NPs/PAs in the hospital in person, and each state is different. In Kansas, Dr. Kimball points out, the state Department of Health and Environment determines how frequently sponsoring physicians must be onsite if a hospital relies exclusively on telehealth supervision of advance practice clinicians. Often, he adds, it’s once a month. In Tacoma, CHI Franciscan’s Dr. Bell notes that being able to locate telehospitalists and nurses in a virtual medicine center obviates one risk of the job: having to work alone. 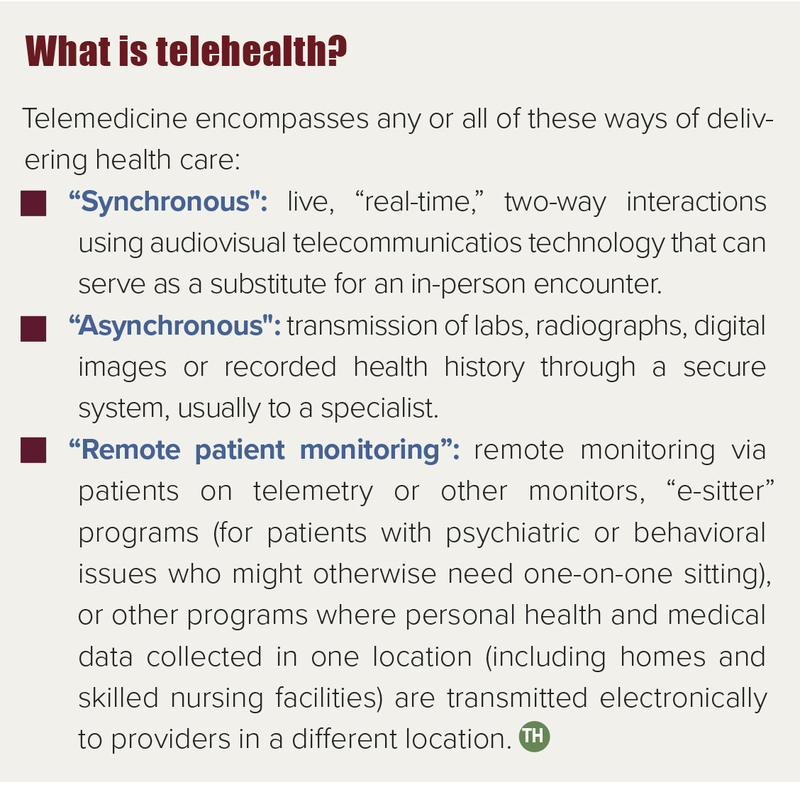 How is telemedicine reimbursed? The answer varies by payer. Currently, the Centers for Medicare and Medicaid Services (CMS) doesn’t reimburse doctors for many general medicine services such as histories and physicals done through telemedicine, although it does pay for virtual specialty services such as tele-stroke. As for private insurers, every private payer and state seems to have different telemedicine payment policies and laws. As of last year, more than half the states—particularly rural and Western ones—had enacted telemedicine parity laws, requiring private insurers to pay for the same service provided via interactive audio, video or other media as in person. Even without such laws, the trend among private payers is to cover an increasing amount of telemedicine, particularly for entities taking risk in bundled-payment programs and ACOs. Advocates claim that it’s just a matter of time before the reimbursement barrier crumbles.